At the end of day 15, race leaders in GBRow 2013 the world’s toughst rowing race, the Islanders are approaching the tidal races at Cape Wrath, the most north-westerly point in the race. By 10pm they were just below Ullapool and so far north it is dark for just three hours during the night, from about midnight until 3am. 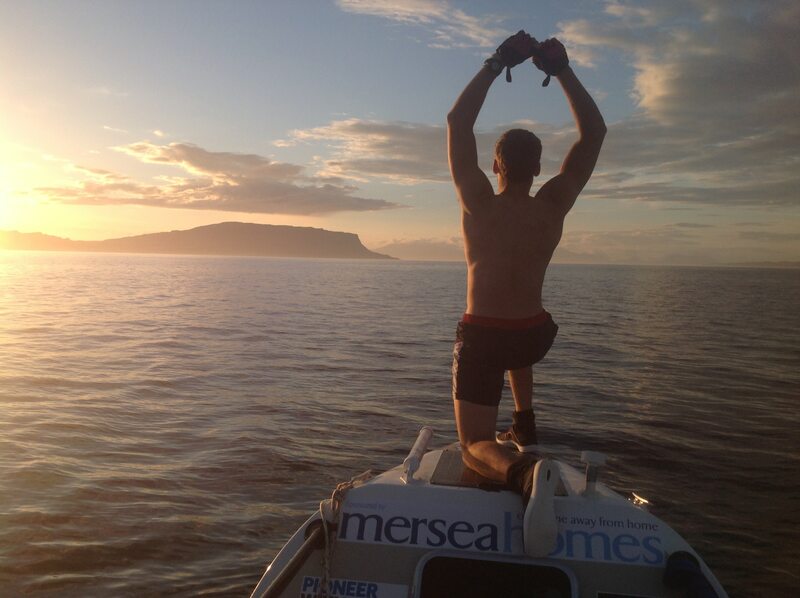 Gavin Sheehan and James Plumley were on the oars when the Islanders’ boat, the Black Oyster slipped beneath the world-famous Skye Bridge. In their wake trailed 20 seals that followed the 24-foot rowing boats for miles – there’s some amazing video footage from the Black Oyster on our home page tonight. 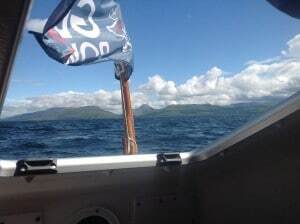 During the afternoon, a crew from BBC One’s Coast show caught up with the Isladners, north of the village of Applecross. GBRow Race Director Chris Usborne was on the boast and reported that the Islanders were doing well. 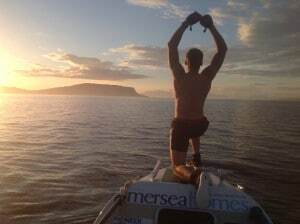 John O’Groats, the most northerly point in the 2,000-mile journey is currently 120 miles away and skipper Josh Taylor expects to rach there on Tuesday. Meanwhile, Josh Tarr and Jason McKinlay in Savoir Faire are making nealry 4knots, north of Larne are expected to cross the North Channel between northern Ireland and the Isle of Mull during the night. Keep your eyes peeled on the tracker folks and wish them a safe crossing to Scotland.